Candide’s movie teaser! Phantom super slow motion footage at its best! The Contour helmet cam footage from Terje’s first run at the competion! Check out the airtime he gets! Yesterday at the Apple store in Tokyo I was checking out all the latest accessories available for Mac products. I discovered this cool gieger counter that works with iPhone or iPods. Had to get one. The price was even discounted about ¥10,000 from the sticker price. So it was something like ¥23,000! Get one and share your info! Not only can you get reading on you phone but you can then share your readings to a global map or FB Twitter etc. Great way to create a user based data bank of info. Here is what the brand has to say about it. 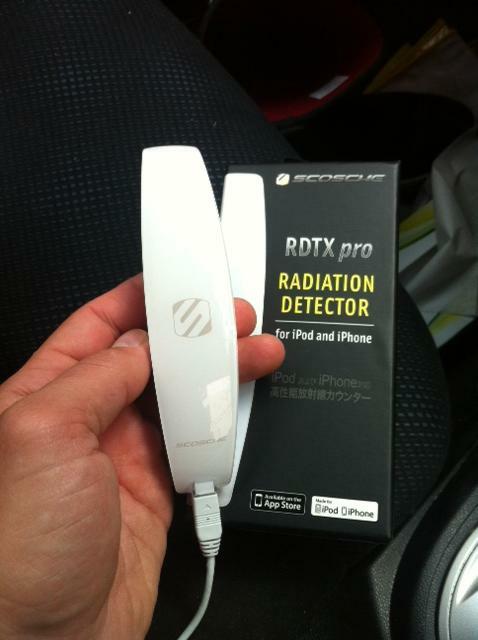 Visit http://www.scosche.com/consumer-tech/product/2254 to find out more about the RDTX pro and the radTEST App. recent TV program talking about the dangers that reactor 4 presents and will continue to present for a very long time to come. The UTMF is finally going to happen this May after being cancelled last year. Looking forward to being there checking out the action! TNF has reposted the promo video I made for the race. Please take a look if you have yet to see it.